From Silicon Valley to Shoreditch, and Scandinavia to Sydney, our advisory board and mentors – including some stars of our Adelaide ecosystem – are here to help all Moonshine Lab portfolio companies grow. They’ll be ready to share their stories, and help yours. Advice like that is hard to come by, so what are you waiting for? 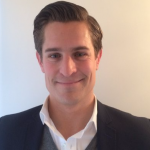 Christian Ullmark runs the Punt Club and has been the founding General Manager of Moonshine Lab, overseeing product development sprints and handling traffic generation, analytics and CRO. Hails from Sweden via San Francisco, and came to the Moonshine Lab from digital media roles at Carat, Starcom and as e-commerce marketing manager at Baby Bjorn. With over 15 years experience in CEO and senior management roles and a background in law, Sally knows first hand how to run billion dollar, publicly listed companies. Sally’s strengths are in stakeholder management across all levels of government, industry and community, as well as communications, branding, corporate social responsibility, sustainability, environmental and issues management and customer experience. 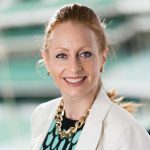 As former CEO of the Australian Hotels Association for NSW and Northern Territory and a member of a number of boards across tourism, education sport and health, Sally’s dynamic leadership and connections provides extensive reach for our advisory board. 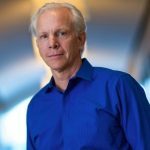 Chris Redlitz is a Founding Partner of Transmedia Capital (TMC), a top performing venture fund based in San Francisco. Chris has been an advisor, mentor and investor to many tech companies over the last 20 years, and he received Ad Age’s prestigious i20 award for his contributions to the development of interactive marketing and advertising. 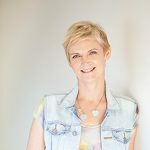 Gwenda Phillips is an international banking executive, active start-up executive advisor and co-founder of Your Hidden Mind – an innovative mind-health start-up. 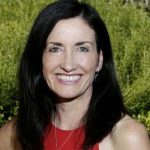 Gwenda has 15+ years’ experience in the financial services industry specializing in strategic planning and execution to ensure plans turn into action! She is passionate about helping start-ups get the mindset and skills they need to successfully partner with large multinational corporates for growth. 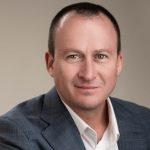 With more than 20 years of sales, marketing & management experience at a senior level with global challenger brands including eBay, PayPal, Virgin and now Uber, Steve was ranked #3 most innovative CMO in Australia by CMO Council in 2016. As Chairman of ADMA (The Association for Data-driven Marketing & Advertising), the largest marketing body in Australia, Steve is also responsible for evolving the strategic direction for the Association and representing over 600 Australian member organisations. His achievements can be put down to his ability to create and lead great teams, make a difference in customers lives and help businesses understand and achieve their potential. With more than 17 years of digital experience and several successful startups under her belt, Liz James is a fantastic local asset. Liz launched PinkSofa.com, the world’s first lesbian dating site, in March 2000. Since then it has grown to over 500,000 registered users and is still thriving today. Liz also launched LexySmart.com in 2000 and in 2010 Liz launched GaggleHouse Pty Ltd, to provide technology and management services to niche social networking services. GaggleHouse received a SA Government Grant to launch an exciting new social network, winning the SA and National Merit IAwards. Brendan started up his own online businesses back in 1991, and his passion to transform lives through tech is still embedded in his DNA. 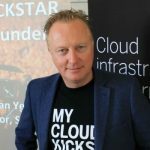 Brendan has become a key influencer in the startup community in Australia. He is the Sydney Director for Startup Grind, as well as Director for IBM’s Global Entrepreneur program, and a mentor for Muru-D and Slingshot accelerators. As as speaker, Brendan has had the privilege to speak at tech conferences in Australia, South Africa, UK and the USA. Lets just say Brendan wears many hats and he is a significant ‘man-in-the know’. Leila is a successful business founder, mentor and investor. As a serial entrepreneur, she has marshalled companies from startup to exits, including management buyouts, trade sales and IPOs. The Newsmaker PR and Social Marketing platform today represents over 50,000 brands and is consistently named No.1 press release service in Australia by independent analysts. Leila has also recently co-founded the Kondotto Codefree app development platform (patent pending), which is set to disrupt the global business automation industry. Leila’s interest in entrepreneurship has led to her strong involvement in and support for the Australian startup community. 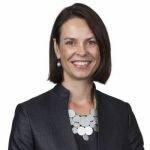 She is a foundation investor in SouthStart Accelerate and an active participant in Startup Spring, MEGA, the New Venture Institute and VentureDorm at Flinders University, the iLAB at UniQuest QLD and many more. After spending years finding his feet and failing at a number of ventures, Andre went on to launch online wine site Vinomofo, with his brother-in-law Justin in 2011. They just wanted to “do something cool and useful for the wine industry”, and it’s grown to be one of the most successful wine sites in the country, winning a host of business awards including Deloitte’s Fastest Growing Tech company in 2013, and Startup Smart’s Best Startup 2014. 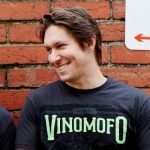 With 50 staff, 270,000 members, and a turnover run rate approaching $30 million within just 3 years, Vinomofo is living up to its promise of being “the most epic wine site on the planet”, dedicated to their mission of inspiring the world to drink awesome wine. Melissa’s career spans over 15 years in San Francisco, Sydney and Adelaide. Her expertise is in customer research, innovation and solution design. 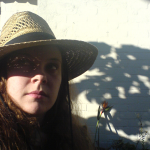 Melissa describes herself as a problem solver, who fosters goal-orientated design thinking. Career highlights include joining Eventbrite as their first UX designer in 2011. Over the course of her tenure she built out a team of 5 UX designers and 2 researchers. She also headed up UX and Design for Dwolla before returning to Australia. In 2017, Melissa founded Pattern to work with businesses to build customer focused products and services. Peter Ekman - CBDO / ViVino Inc.
Peter Ekman is passionate about building, growing and “fixing” things in general and specifically e-Commerce. For the past 15 years Peter has worked with e-commerce companies like, Wine.com, OrganicStyle.com, Crushpadwine.com and currently the Chief Business Development Officer for ViVino.com. This makes him the guy you really want to advice from if you are building a website or app. 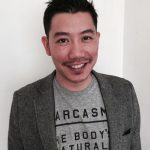 Having worked with e-commerce business from the perspective of CFO, CEO, CBDO and more, we at Moonshine Lab hang off of every word of advice he gives us. 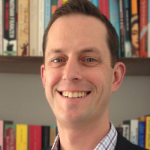 Rob Cameron is passionate about the use of technology with both small businesses and accountants in practice. 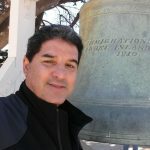 With a philosophy that sees him harness the cloud to transform business practices, Rob has successfully started up and exited several of his own software companies that solve many of the problems within the accounting for small business realm. 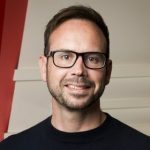 Now, as the platform strategy manager at MYOB, Rob is working to transform the MYOB product offering to take advantage of the collaboration and connectivity that is now possible. 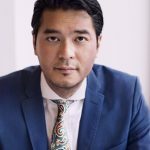 Adam currently serves as the Australian GM and VP Business Development for Buddy.com, an IoT and Smart Cities company. He holds a B Eng. with a specialization in the implementation and business use of Operational Technology (a precursor to IoT) having worked extensively with Utilities throughout Australia/NZ, SE, Asia and North America as a trusted advisor, project engineer and project manager. In addition to helping Buddy become established in Australia, Adam has co-founded two companies. Jordan is a partner and executive director at Bay Angels, and has a nice portfolio of companies he works with. Jordan’s partnership model with startups is collaborative to grow, scale, and focus on their short term objectives through operations, fund raising, business development, product development, and team leadership. As an experienced leader, and mentor, he assists or leads in business operations, business development, org transformation, customer management, and team growth. Most recent is his work with VCs and Accelerators in Silicon Valley, Dubai, Jordan, Kuwait, and European groups. 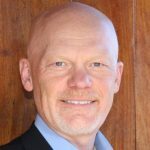 His 20+ years’ experience includes hands-on work, and leadership in high-demand, fast-paced, or structured environments in engineering, business, SW development, IT, Hi-Tech, Big Data/Analytics, IoT, Smart Home, and manufacturing. Andy currently serves on the World Economic Forum advisory council for media and technology. Prior to Aspiro Group, Andy was the CEO of Preview Networks, a leading venture-backed video content syndication and advertising platform. Andy was also Vice President for MTV Networks Europe and Viacom International where he headed of digital ventures for international markets. He also spent many years with Aegis Media as Global Director of Digital Strategy. Andy is an active angel investor and advisor to venture and private equity firms. He currently sits on the board of Unacast, Adjust, Linkfire, Scrive, Tattoodo, Falcon Social, and Iskilde. Bevis is co-founder and CEO of The Hacker Exchange. He made the leap into the world of angel investing when he moved to San Francisco from Melbourne, and took on an investment manager role at Bay Angels, where he sourced and screened deal flow for startups seeking early stage seed funding. Following the wealth of experience being in the Silicon Valley afforded him, Bevis decided to launch his own venture — The Hacker Exchange — with the purpose of connecting Australia’s startup and student community to Silicon Valley.